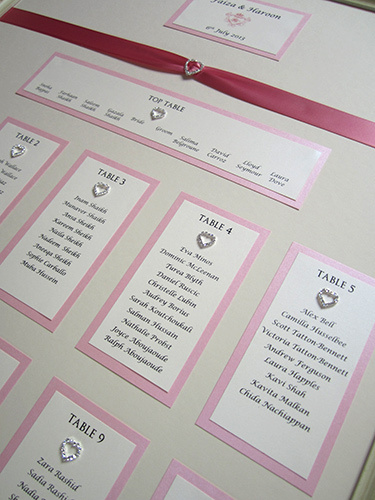 Beautiful, personalised wedding table seating plan with ribbon and stunning heart diamantes. 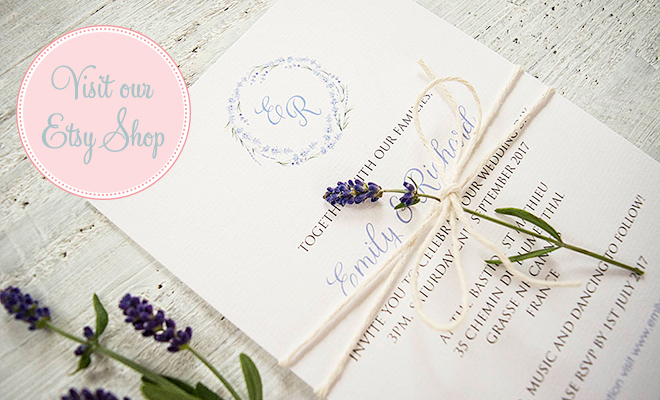 The plan comes in various sizes with a choice of ribbon and card colours and personalised with your guests’ names. 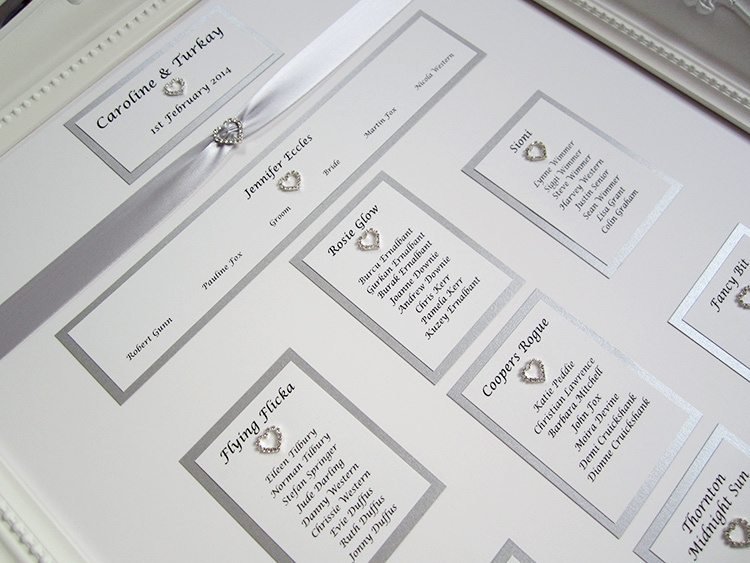 Each table card is available in a choice of white or cream and is backed onto a card colour of your choice. 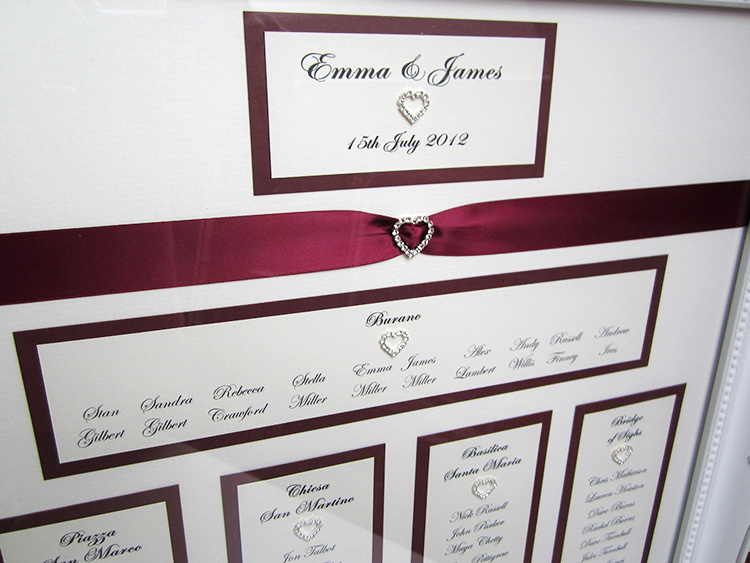 Many colours of card and ribbon available. The A2 size plan will comfortably accommodate up to 10 guest tables plus the top table, with up to 12 guests per table. More tables many be fitted on the plan if table sizes are smaller and/or you do not require a separate top table. 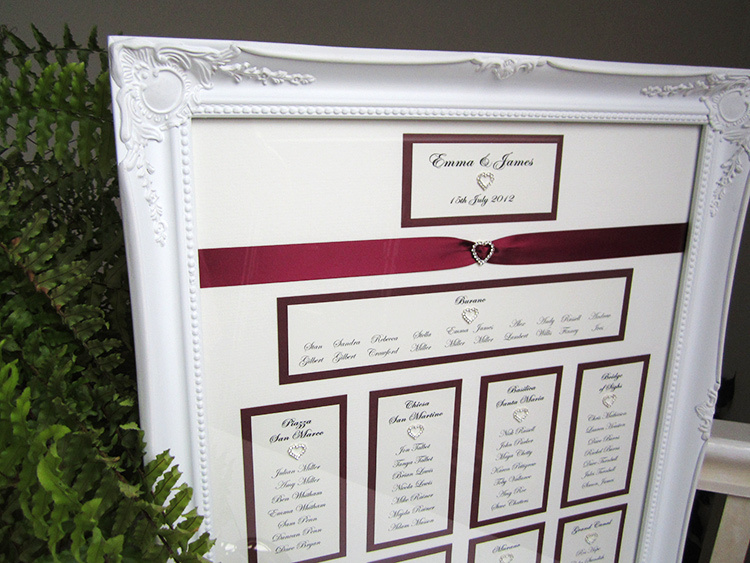 Vintage baroque-style white frames are available in different sizes. 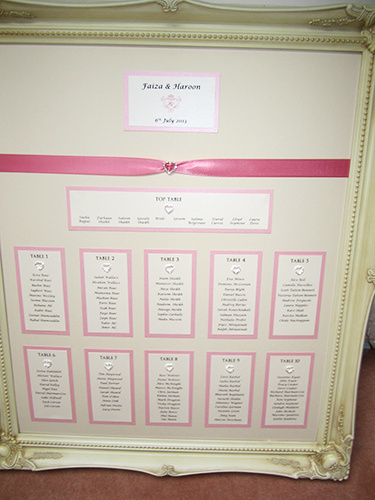 The frame in the image is for a 16″x20″ seating plan. External dimensions are 19.5″x22″. Please note that the plan does not come with glass for safety reasons. The plan is designed to stand on an easel but if you would like wall fittings then please do email us. 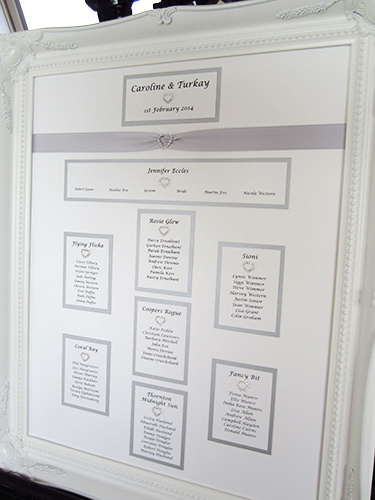 The plan can be adapted to suit your own personal requirements in many different design styles. Please contact us before purchase if you have a bespoke plan idea in mind. 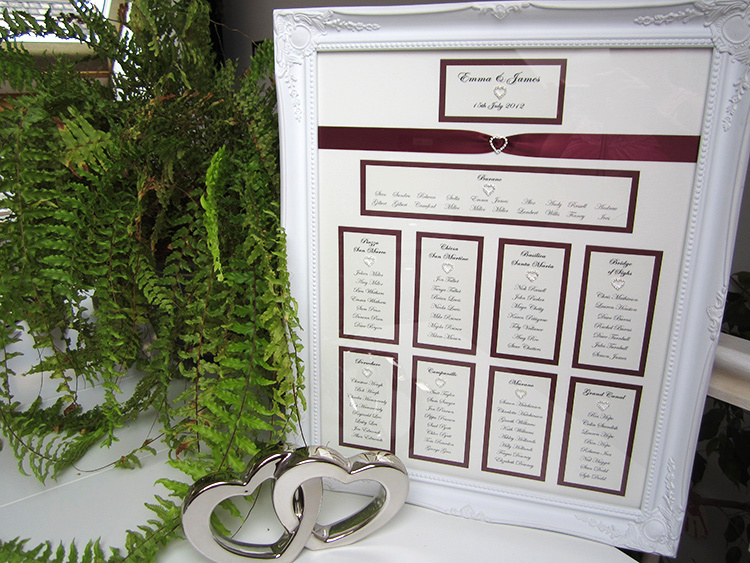 Matching place name cards, menus and other stationery also available. © 2019 SJ Wedding Invitations London|ProPhoto Photography Blog by NetRivet, Inc.